Home / News / Introducing 'Monopoly For Millennials.' It’s Too Real To Be Funny (But It's Still Funny). The iconic board game Monopoly has a whole bunch of iterations and themes, but Hasbro has outdone itself this time by releasing what can only be described as the first-ever Monopoly tailored to a specific generation: Monopoly for Millennials. "Forget real estate. You can't afford it anyway," reads the tagline to the board game that strikes a nerve every bit as much as it strikes the jugular, a game too real to be funny, which is exactly why it's so funny. "Adulting is hard. You deserve a break from the rat race," reads the box's back alongside a graphic of Uncle Pennybags taking a selfie. As the caption suggests, players of this Monopoly are too flat broke to buy any actual real estate. Instead, they are invited to buy "experiences." According to Mashable, those experiences include going to the Vegan Bistro, crashing on a Friend's Couch, or embarking on a Week-Long Meditation Retreat. The game also encourages players with the most debt to roll the dice first. Players who collect the most experience points win the game, according to Hasbro's directions. "Collect Experience points by visiting the hottest Destinations," reads the description on Amazon. "IT'S ABOUT THE EXPERIENCE: In this version of the Monopoly game, the player who collects the most Experience -- not the most money -- wins the game." In a play of marketing genius, Hasbro will be selling the game for $19.82, a reference to the year that millennials were born. A.V. Club, however, maintains Hasbro missed it by a year, since the Pew Research Center data suggests the generation started in 1981. Needless to say, "Monopoly for Millennials" has not exactly gone over well with its target audience, who have been blasting it on Twitter as a cruel joke of the Baby Boomer generation. "Hasbro, can you provide the URL for the Hasbro-official website featuring "Monopoly for Millennials," where you trash on my age demographic because baby boomers caused an economic catastrophe that rendered us financially impotent for a decade? Thanks!" said one angered Twitter user. Another Twitter user said: "I'm not sure who @hasbro made Monopoly for Millennials for? As if we don't get sh*t on enough lol... A game about millennial life should absolutely include paying rent. A lot of it. The vast majority of us can't afford to spend money on 'experiences.' Anyway, disappointed." "I think [Monopoly for Millennials] is pretty offensive and uses stereotypes to make fun of millennials, but I am a millennial so I'm probably too close to the issue," said another user. 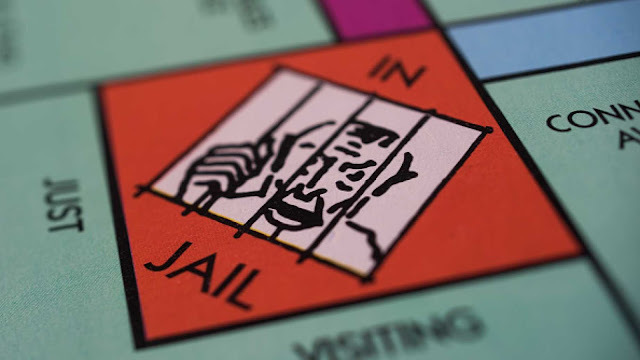 Another said: "Next, Monopoly for Baby Boomers: where you buy property for below value price, only people of color go to jail, and when you pass “Go” you get to complain about Millennials!!!" ""because baby boomers caused an economic catastrophe that rendered us financially impotent""
sure it is the baby boomers fault. and never mind good old uncle samuel.